Manufacturers who carry out sub-contract work on taxable goods where the VALUE of work performed exceeds RM500,000 for 12 months period. Registered manufacturer, non-registered manufacturer and manufacturer in special area (FIZ and LMW). Taxable goods – below threshold. The total value of taxable goods in that month and the 11 months immediately succeeding the month. Manufacturers who are GST Registered Persons which have been identified and fulfilled the required criteria will be registered automatically as Registered Manufacturer under Sales Tax. GST registered person who fulfilled the required criteria to be registered but were not registered by 1st September 2018 need to apply for registration within 30 days from the commencement date. In the case no amount of taxable services is prescribed, the liability to be registered is on the date of the commencement of the business. The total amount of taxable services provided by him in 12 months is below threshold. 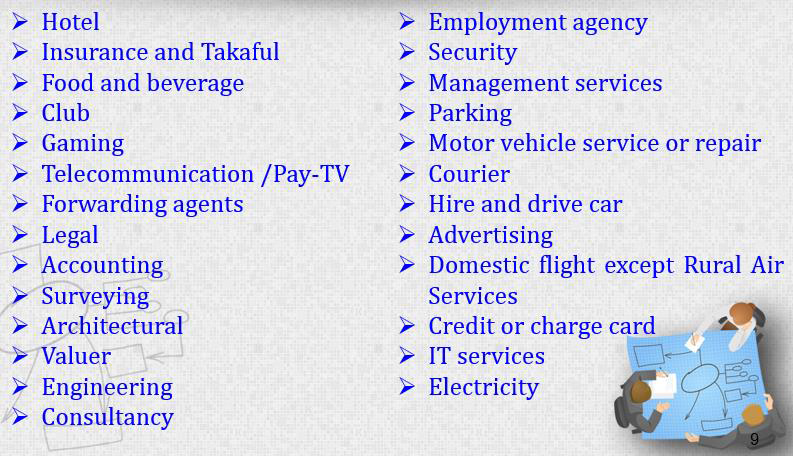 Branch Registration is allowed for Service Tax. Taxable Service Provider who are GST Registered Persons which have been identified and fulfilled the required criteria will be registered automatically as Registered Person under Service Tax. GST registered person who fulfilled the required criteria to be registered but were not registered by 1st September 2018 need to apply for registration within 30 days from the effective date.